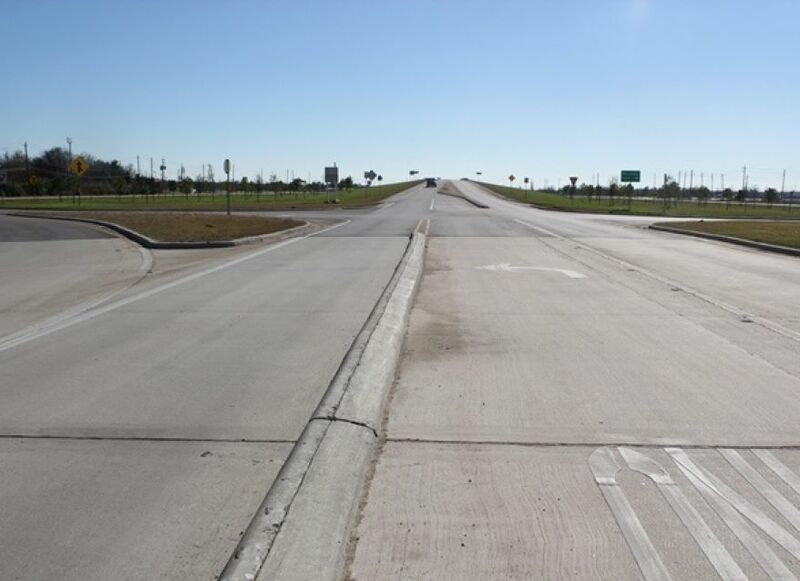 The City of Mont Belvieu contracted R. G. Miller engineers (RGME) to prepare PS&E plans to TxDOT standards for the reconstruction of 2.3 miles of Eagle Drive from a 2 lane open ditch roadway to a 4 lane concrete curb and gutter boulevard with an extensive storm sewer system. This 15.3 million roadway section required an innovative design that would avoid relocation of several major pipelines. Extremely flat terrain and limited outfall depths presented major challenges and required constant coordination between roadway designers and hydrology group. Developed a roadway and storm sewer solution that avoided any major pipeline relocations, provided enough depth for the storm sewer, and kept the proposed tailwater below gutter lines. RGME Hydrology Group developed a comprehensive Drainage Study for the section that included major drainage facilities and creation of new outfalls. Design complex hydraulic system that included storm sewers, open ditches, and detention ponds. Developed the multiphase TCP with detours.